Altogether 10 partners, representing the regional, municipal and academic stakeholders, were brought together during the Expat-project of 2012-2013. The project was led by Uusimaa Regional Council and the thematic work was carried out by Turku Science Park Ltd, Riga Planning Region and the City of Uppsala. 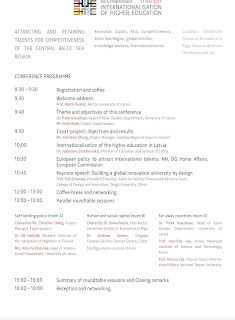 Alongside the University of Latvia, e-Governance Academy, the Institute of Baltic Studies, Culminatum Innovation Oy Ltd, Laurea University of Applied Sciences and the Regional Council of Southwest Finland, all of the actors have contributed to the implementation of this project and are enthusiastically driving towards a welcoming Central Baltic Sea Region. During the project approximately one hundred institutions from the Central Baltic Sea Region and Amsterdam, The Hague, Toronto, Shanghai, Seoul and Tbilisi have contributed their precious time to the research work as interviewees or participants in the workshops. 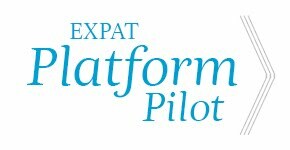 Moreover, there are more than 1000 expats from the Central Baltic Sea Region involved in an extensive questionnaire survey and several workshops designed to help the development of the Expat-platform pilot and policy recommendations. We would like to say big thank you for all of you for your great work and support during this project! We hope that with this work we have succeeded to make our beautiful and wonderful region even more welcoming – and your home to stay! 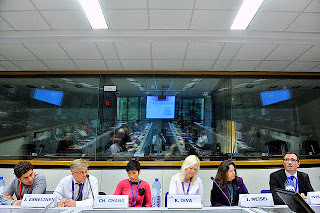 Juha Eskelinen and Christine Chang spoke of the issue of talent retention at EU Open Days 2013. “Human capital is a decisive factor for an economy to grow in a long run. In order to make Europe an attractive destination for highly skill immigrants, all level of governments should take a holistic approach on the immigration policy and services dedicated to immigrants” addressed by Christine Chang, Project Manager of the Expat-project, Uusimaa Regional Council. 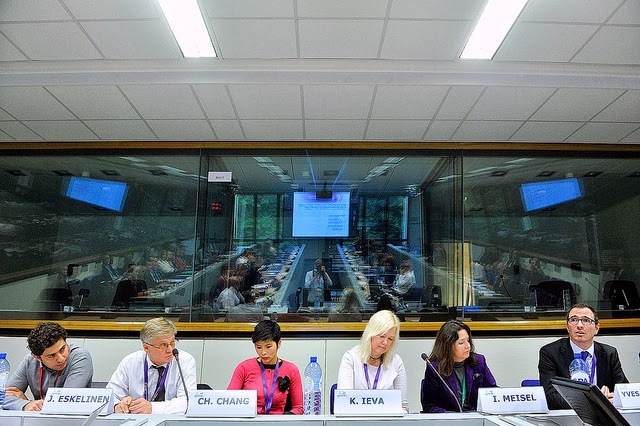 Invited by the European Commission, Juha Eskelinen, Deputy Regional Mayor of Helsinki-Uusimaa region and Christine Chang, Project Manager of the Expat-project, spoke of the experiences of talent retention from North Europe and from Central Baltic Sea region at the seminar “Managing global talent retention” during EU open Days in Brussels on 9.10.2013. Nordic countries have a long history of hosting a single labour market by honouring the free movement agreement since 1950’s. At that time, Finland and Norway were losing its skill labour force to Sweden and Denmark where its living standard and life quality were much better. “But in the course of increasingly transfer of business and knowledge, Finland and Norway now actually benefit from the networks and knowledge from its citizens who had moved to other Nordic countries“, exclaimed by Juha Eskelinen. Europe is not an attractive destination to highly skilled immigrants compared to other settlement countries such as USA or Canada while we take into account that there are 28 bureaucratic systems and languages spoken within Europe. “Europe should make effort to attract talents, a common framework of immigration policy and services should be possible to minimize the obstacles of integration process through cross-border cooperation” emphasised by Dr. Yves Pascouau, Head of Immigration and Diversity Programme, European Policy Centre. Europe is competing with settlement countries, e.g. USA or Canada, for global talents and in response to the critical concerns of the attractiveness of the Europe to highly skilled immigrants, Christine Chang proposed the European Union to take a proactive approach in the issue of talent attraction and retention. “Immigration is not just about economic benefit to the region. In order to utilize the full potential of the immigrants who move to Europe and our regions, social needs and social integration of immigrants should also be taken into account by all level of governments and the host society“, concluded by Chang. The “Managing global talent retention through cross-border cooperation” seminar attracted more than 70 participants from EU institutions, regional authorities and universities to the EC premises Centre Boschette on 9.10.2013. 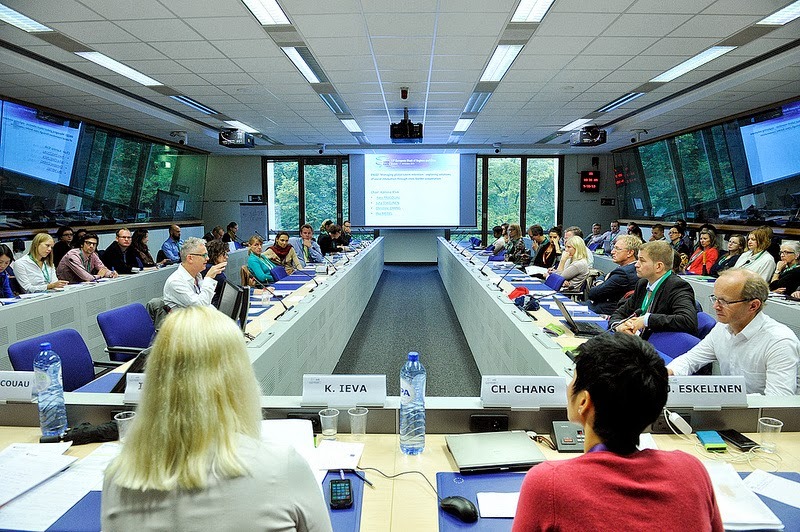 The seminar was organised by the European Commission as one of the main programme during EU Open Days 2013. Expat-project is an EU ERDF-funded project with partners from Finland, Estonia, Latvia and Sweden. The lead partner of the project is Uusimaa Regional Council. The future of Europe depends on the human capital it hosts in the region. In addressing future demograhic changes and internalisation of industry, labour migration has a key role to drive economic development in the long term. To prepare Europe for a flourishing and competitive future, the Expat-project brought together EC immigration officer Ms. Eva Schultz, various EU projects and regions to discuss about how Europe can cultivate its human capital already now at the seminar “pulling resource together” on 10 October 2013 at Stockholm region EU office in Brussels. To set the scene of the current European immigration policy, the “pulling resource together” seminar was opened by Ms. Eva Schultz, European Commission. She emphasised on the key areas in the European Agenda for the topic of immigration including involvement of the civil participants, local action and involvement of the sourcing countries. Amongst all project presented from the seminar, Expat-project, OneBSR, Brain-flow Mini-Programme and Working4Talent, they all empahased the importance of the host community to be engganed with immgrants’ integration process. The engagement could be through personal connections but also general public’s welcoming attitude towards the newcomers. The seminar raised the important aspect of talent retention policy: a strategy on human capital, along side with Immigration and innovation strategies, will needed to be developed hand in hand. To ensure the host society to utilize full potential of its newcomers, the regions should, amonst other measures, better take advantage of social networks as pathways to for immigrants’ professional and social intergration. Concrete best practise of talent retention services were also presented by the Expat-project and Tendensor AB. For more information, please see presentations from the event here. With increasing mobility of global talents in the world, most of the developed European regions have enjoyed brain gain to reinforce its human capital. In the meanwhile, there are also many regions encountering labour force deficiency and therefore seeking solutions to stem brain drain in order to retain its local talents and attracting new ones. Human capital converging from the world to Europe and flowing amongst European regions is the decisive factor for the success of Europe’s economy. Coherent actions and continuous dialogues between local actors and regions will harmonize the differences amongst them and move towards one welcoming and inclusive Europe. In response to the challenges mentioned above, the EXPAT-project (Innovative Services for International Talents) co-funded by EU Interreg IV A Programme, is hereby inviting you to a seminar on various practical social innovation solutions to talent retention and attraction in the focused topics of soft-landing, soft-departure and social networks. The event is free of charge, but seats are limited! Please register by sending an email to: info@stockholmregion.org indicating if you are also attending the lunch. On September 5, 2013, Shuo Wang got out of bed at 4 o’clock, packed her trolley case and flew from Joensuu to Helsinki. It was a beautiful morning: first rays of the new rising sun were carried by the imposing castle-like Paasitorni which is built in stone carved out of the bedrock. There was the venue for the conference: “Talents Available: Tapping the talent pool for global growth”. Shuo is one the talents who are valuable for building “Team Finland” and whom Expat-project is aiming to serve. Originated from China, she is studying Business and International Marketing at University of Joensuu. When she received the invitation to the conference, she felt it was worth all the trouble to attend. At the event, the Prime Minister, Mr. Jyrki Katainen opened the conference addressing the importance of Sino-Finnish cooperation to Finnish economy and the contribution of Chinese community in Finland to its development. Company HRs and leaders from Wärtsillä, Stora Enso and Dynaset shared their experience in employing Chinese talents and how they have expanded in China through Chinese employer’s local know how. There were successful expats who gave tips on how they have found their positions in Finland. In the afternoon, the Expat-project which looked into the perspective of individual internationals’ need in settling in Finland and nearby countries was showcasing active expat organizations in Helsinki region including InterNations, IESAF, Expat meet-up and proposed concrete action in talent retention services–HERIEC-project as an example. Turku and Helsinki local actors’ lively discussion on the topic “Global talents available-response from Finland” shown their strong commitment to the issue and the will to further develop the idea of “HERIEC” model. The conference was full of surprises and laughter: Roman Schatz’s hosting with witty words, expats’ Stand Up comedy which triggered deep thoughts about expat’s on-boarding experience, as well as a multicultural performance by Maailma-kuoro summarized the day with the word “diversity”. 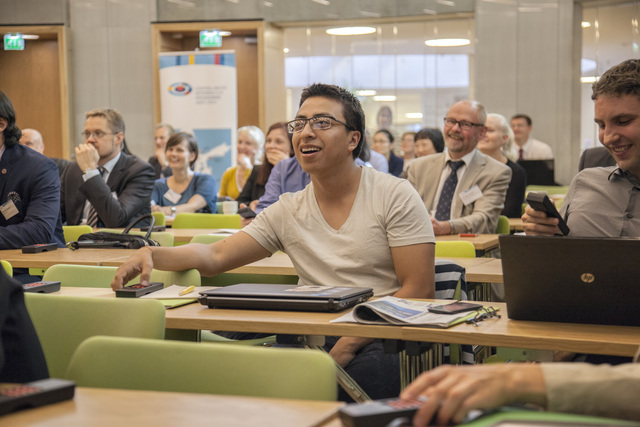 The Talents available Conference, co-organised by the Expat-project and the Ministry of Education and Culture Finland amongst other actors, will be opened by Prime Minister of Finland Jyrki Katainen. The conference will bring in companies expanding in China to share their experiences on how they have capitalised Chinese expats’ contribution to its growth. In the meanwhile, based on the result of the Expat-project, the conference will propose concrete actions in talent retention in response to expats’ integration experience to develop the Central Baltic Sea region a welcoming place for its citizens regardless from where they are. Talents available event sets its agenda in fostering economic growth through tapping internationals available in Finland and the Central Baltic Sea Region including Sweden, Estonia and Latvia. The events under the Talents available umbrella will give an insight on how Finnish companies go abroad empowered by the Chinese talents and, while at the same time, prepare the Central Baltic Sea Region as an inclusive and welcoming place for international talents to settle in. Program will include interesting presentations and speeches in theme, i.e. Chinese students in Finland - success cases, micro region's response to the challenges and opportunities of global talent mobility – a case of Expat project, pathways to successful talent retention – showcasing best practises of services and embedding expat's integration experiences into service and policy development – policy recommendations of Expat-project. In collaboration with EK Federation of Finnish industries, Central Chamber of Commerce, Confucius Institute of University of Helsinki, Enterprise Europe Network, Helsinki Region Chamber of Commerce, Greater Helsinki Promotion and City of Espoo. Experts from Central Baltic Sea Regions and Asian countries share experience and best practices in talent retention. “Education is our passport to the future”; internationalized and internationally competitive education is our passport to a flourishing future. In Latvia which is one of the fastest growing EU economies, Riga Conference ‘Internationalization of Higher Education” has aroused interest from media, universities and governments in finding ways to the future of its education in a global market. ‘supported by the EU Interreg 4 A Central Baltic programme, as part of the Expat Project, the conference aims to raise awareness and attention of decision makers on the possibilities offered by the internationalization of higher education in the context of economic growth’, one of the main organizers Emils Rode indicated. Professor Yrjö Sotamaa sharing Aalto Univeristy's story. ﻿﻿ ﻿﻿﻿﻿﻿﻿﻿As one of the initiators, Professor Yrjö Sotamaa told the story of Aalto University: how has it been developed from a local art and design college into the most international university in Finland. He recommended many simple but effective methods such as International conference which was held two to four times a year by Aalto University. It invites leading experts within the industry from around the world to share their experience and join open conversations. For the university, this has brought ‘mentors’ in addition to a flow of new ideas home. Cumulus Association is another good example. It was founded in 1990 and hosted by Aalto University. Over the years it has grown from 6 members to 187 members from 46 countries and become a worldwide forum for partnership and transfer of knowledge and best practices. 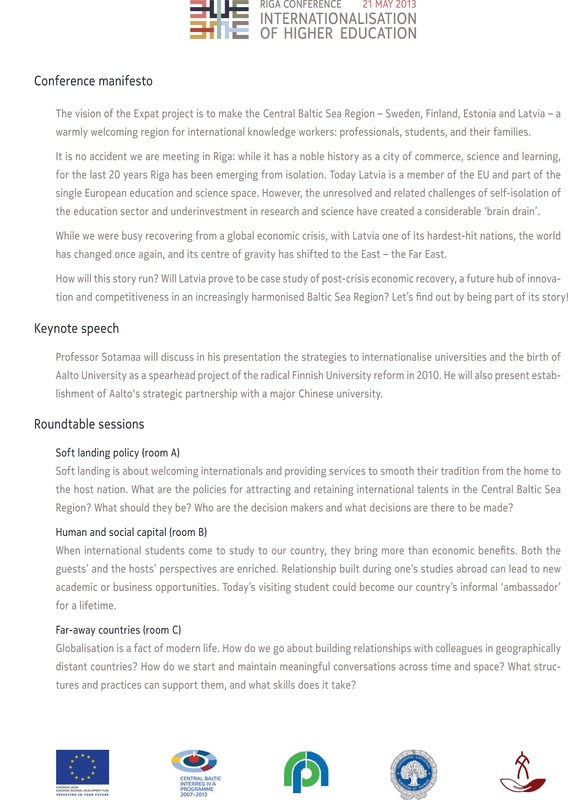 ﻿﻿﻿﻿ In the afternoon, parallel roundtable sessions were organized on three themes: ‘soft landing policy’, ‛human and social capital’ and ‘Far-away countries’. Participants chose to join in the session based on their interest. Mikko Toivonen (right) addressed challenges students face while settling in. With those who are committed into improving the access of international graduates to local labour markets, Mikko Toivonen, head of Career Services from University of Helsinki shared his experience on how to enhance employment through teachings and degree programs. According to Toivonen, lacking of network and insufficient Finnish language skills are the two biggest challenges in FInland. Solutions in Helsinki region are mentoring program, expectation management and diversified language courses. Facing almost similar challenges, National Taiwan University from afar applies different strategies. Professor Hsinyu Lee, Deputy Dean of International Affairs presented their internationalization plans: during freshman and sophomore years, oversea students are required to study general Chinese classes for at least one year; during junior and senior years, most of department required courses are offered in Chinese. The university also has regional target: from developed countries, they accept students majoring in liberal arts, social science and political science; from developing countries, they accept students majoring in civil engineering, computer science, agriculture and technology. After the conference, guests from afar were wandering in the beautiful Riga Old Town. They exclaimed: "Riga is such a charming city!" Indeed, despite international students are less than one percent of locals now, this city and this country have the potential to become more international and catch up with the rest of Central Baltic Sea Regions. “To achieve that, cooperation and learning from each other is preconditions for regional growth. And this is why The Expat-project is here!” exclaimed Ms. Christine Chang, the project manager of the Expat-project, Uusimaa Regional Council. The vision of the Expat project is to make the Central Baltic Sea Region – Sweden, Finland, Estonia and Latvia – a warmly welcoming region for international knowledge workers: professionals, students, and their families. It is no accident we are meeting in Riga: while it has a noble history as a city of commerce, science and learning, for the last 20 years Riga has been emerging from isolation. Today Latvia is a member of the EU and part of the single European education and science space. However, the unresolved and related challenges of self-isolation of the education sector and under investment in research and science have created a considerable ‘brain drain’. While we were busy recovering from a global economic crisis, with Latvia one of its hardest-hit nations, the world has changed once again, and its centre of gravity has shift ted to the East – the Far East. How will this story run? Will Latvia prove to be case study of post-crisis economic recovery, a future hub of innovation and competitiveness in an increasingly harmonised Baltic Sea Region? Let’s find out by being par t of its story! 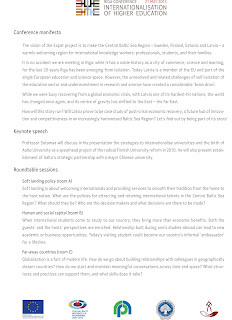 Baltic Research Centre for East Asian studies AsiaRes invites you to participate in the conference Internationalisation of Higher Education. 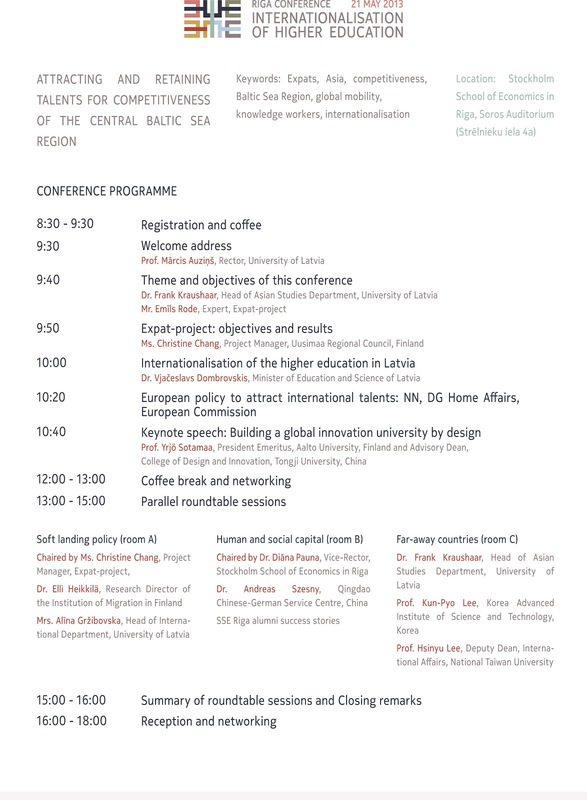 This conference is supported by the EU Interreg 4a Central Baltic programme as part of the project Expat: Innovative Services for International Talents in the Central Baltic Sea Region, of which the University of Latvia is a partner. The objective of the conference is to explore the needs and opportunities created by internationalisation of higher education in our region in the current (non-)crisis context of ongoing European integration and the economic and cultural rise of East Asia. Stockholm School of Economics, Strēlnieku iela 4, Soros Auditorium. For international guests, conference organisers have agreed a special discount with Albert Hotel alberthotel.lv, which is conveniently located near conference venue (when booking, use codeword: Expat).